"You look like a million dollars. Is that how much it cost?" said a wag to Cher. She never forgave him. She should've smashed his bawls with her Oscar award. Why...her plastic surgery alone must have cost three times that amount. The nerve! Cher looks like she has a surprised look on her face. Or is that what happens when you have a shitload of plastic surgery done on your face- not to mention everywhere else on your body. And wtf color is that hair of hers, anyway? It looks like she got some kind of funky Christmas tree tinsel running through her hair, too. Her recent appearances reminds me of the strange antics Madonna has been pulling lately, with her concerts. You know... the cheerleader outfit and the outrageously muscled up arms. Gag worthy! Hey, I finally made it over to your blog. Can you tell? I left a comment. lol. And now... I must go and prove I'm not a robot. Wish me luck! Good luck, man! 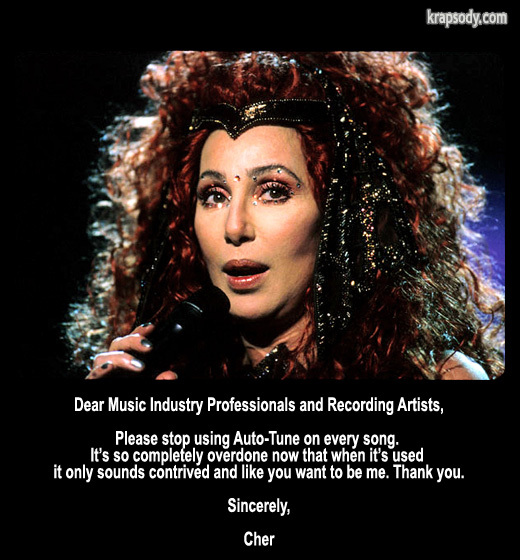 I'll just be over here spoonfeeding Cher and Madonna their daily required Botox and fat liposuctioned from their asses.